Bat-eared but oddly beautiful, the French Bulldog has a unique appeal. A mischievous goof ball, the Frenchie needs an owner who is consistent, firm and patient. This new style of dog appealed to the French and demand increased so much that breeders began breeding up the ‘French style’ to supply the demand in Paris. The breed became popular in England in the 1900’s and then in America as Americans in Paris fell in love with them and took them home. Breeders say the French Bulldog has been in Australia since the late 1940’s and was developed from imported English bloodlines. French Bulldogs are a small, stocky dog with a roach (arched) back and compact appearance. The face of the ‘Frenchie’ is flattened although said to be less so than the British Bulldog. 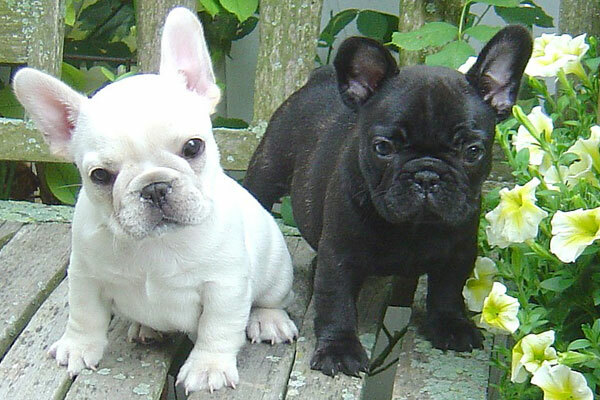 The biggest difference between the British Bulldog and the French Bulldog is the Frenchie’s bat ears which stand stiffly upright with the edges curved slightly forward. They are held erect by cartilage which begins to stiffen at 10 days of age. A short undocked tail is another essential feature of the breed. Colours include brindle, fawn, and pied (mostly white). Owners say the French Bulldog is intelligent, vivacious, deeply affectionate and clownish. They are said to be very reliable with children and good watchdogs. Most breeders say they are not yappy dogs and will usually only bark for good reason. This robust little dog will stand its ground if confronted by unfamiliar people. Not all Frenchies will get any or all of these diseases, but it's important to be aware of them if you're considering this breed. Among those to watch out for is a weakness in the back which can be aggravated by the dog jumping down from furniture, particularly when young. Other potential problems with the breed include luxating patellas (dislocating knee joints) which gives the dog a bowlegged appearance. Some lines suffer from elongated soft palate (extension of the roof of the mouth) problems with signs of respiratory distress, very noisy breathing, decreased exercise tolerance and heavy snoring, all common symptoms. Treatment of affected dogs usually involves removing part of the soft palate, allowing a freer passage of air into the lungs. 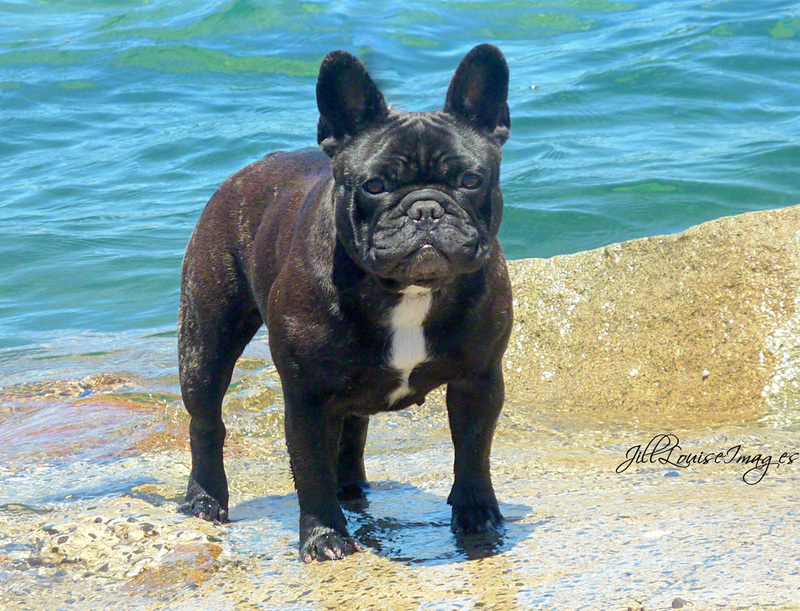 French Bulldogs are very susceptible to overheating and must have shelter and fresh water available at all times. They can experience serious breathing difficulties in hot weather. There is a great variation in the reported lifespan of French Bulldogs but the average lifespan of a French Bulldog is 12 to 16 years if they are well looked after. Breeders report that minimal grooming is required. Although the coat rarely sheds, a soft brush or mitten brush will remove loose hairs when moulting. French Bulldogs have been bred as a house/lap dog. They are said to make good house pets, being compact in size, having a quiet demeanour and shedding only small amounts of hair. French Bulldogs can live happily in a flat with minimal exercise. A daily walk is, however, good to maintain the dog’s fitness. A fenced suburban backyard is ideal. As their short nose and flat face make them more prone to heat stress, French Bulldogs should not be exercised in the heat of the day. This breed can’t swim because of its physique, so care must be taken around swimming pools. French Bulldogs can be described as being only fair in terms of their working and obedience ability. French Bulldogs thrive on human companionship and are not a breed that can be left alone in the backyard. Ideal for retirees, apartment dwellers, families and singles who have time to devote to a dog. Trivia: did you know that Hollywood star Hugh Jackman owns a French Bulldog, named Dali?